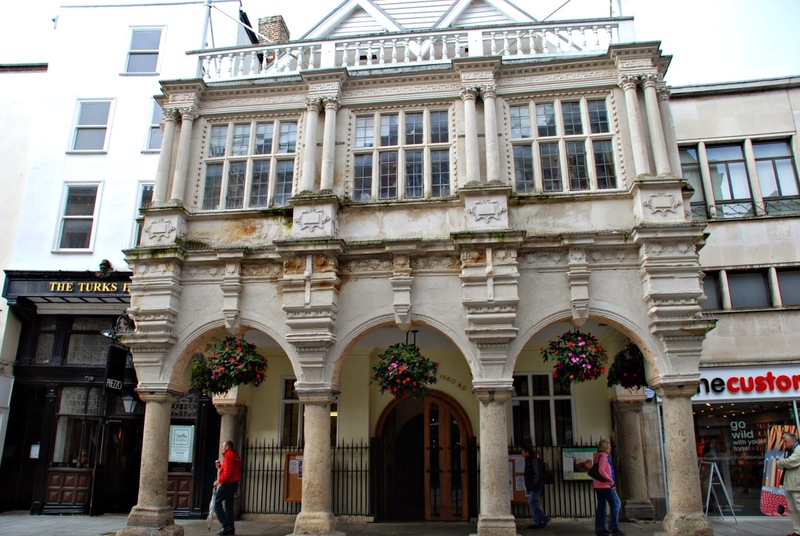 The other day, when Emi and I were on the cold trail of the long-gone Romans, we happened to pass by the Exeter Guildhall ... and the door was open. Come on, Mum, let's check it out, Emi said. 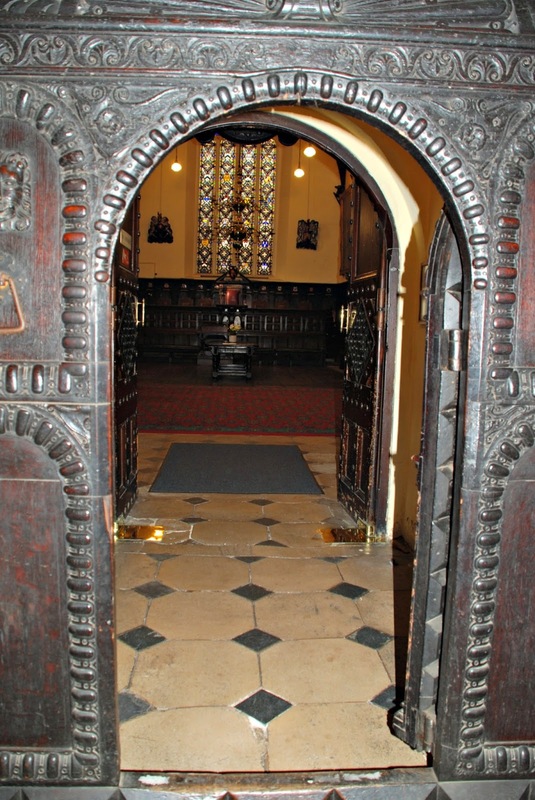 And who could have resisted this wonderful open door? Although it has to be said that it was designed for people who were a bit vertically challenged - and that's coming from someone who stands all of 5' 0" tall. Looking out the other way, it's just as impressive. The Guildhall has stood on this site since 1160. The present structure was originally built in the fourteenth century and refaced with the current porticoed front facade between 1593 to 1596. Dendrochronology, or tree-ring dating of the roof timbers in the magnificent vaulted ceiling of the chamber shows that the trees from which it was built were felled over the period 1463 to 1498. 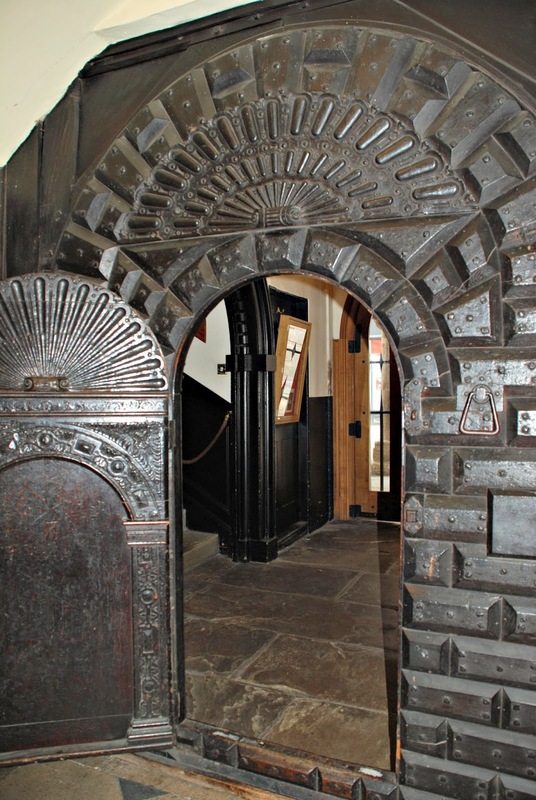 The amazing oak door, which was too good not to walk through, was made by Nicholas Baggett, a local carpenter, in 1593. 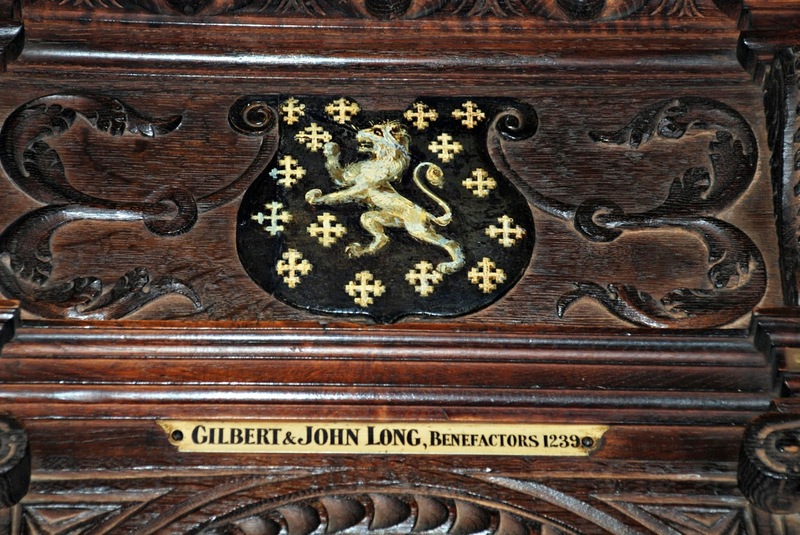 I love the fact that they remember his name, and deservedly so, because it's a gem of a door. Meetings of the full town council still take place inside, making it one of the oldest working municipal buildings in England. Exactly how old is a matter of some debate. There's been some sort of guild operating down here in Exeter since the year 1000 AD, and it's likely that their original hall stood on this spot. They used to keep the city stocks under the central arch of the porticoes, just in front of Mr. Baggett's wonderful door. The weekly market also took place on the High Street, just outside. There's still a hook in the ceiling from which they used to hang the scales for weighing meat, wool, corn and the other goods that would have been sold here on market day. Under this magnificent room there is a 14th century cellar that once functioned as a prison, known back in the day as ye Guyldhall pyttt. In the time of the travelling Assizes, the King's Justices held their courts in here, trying those who had been indicted for felonies, and who would have been incarcerated, awaiting trial, in the Guyldhall pyttt beneath. Lord Chief Justice Jeffreys presided over the Bloody Assizes in this very room after the Duke of Monmouth's failed rebellion in 1685. James, Duke of Monmouth, illegitimate Protestant son of Charles II had risen against the Catholic James II, leading many West Country men to fight for the Protestant cause, only to be defeated at the Battle of Sedgemoor, the last battle ever to be fought on English soil. In the aftermath of the rising the defeated men were tried for treason against their King in the Bloody Assizes, notorious for the severity of the sentences handed out to dissuade other would-be rebels from following suit. These trials were held in a number of towns across the South Western Circuit including Dorchester, Exeter and Taunton. Hundreds were condemned to death and transportation to the Americas. Here in Exeter 40 men stood trial for their part in the rebellion, of whom 13 were found guilty of treason and sentenced to a traitor's death, which was a particularly grisly business involving being hung, drawn and quartered. How they must have shivered with terror in this room as their sentences were read out. I can almost feel the ripple of horror that would have run through the people crowded in to witness the drama unfold. 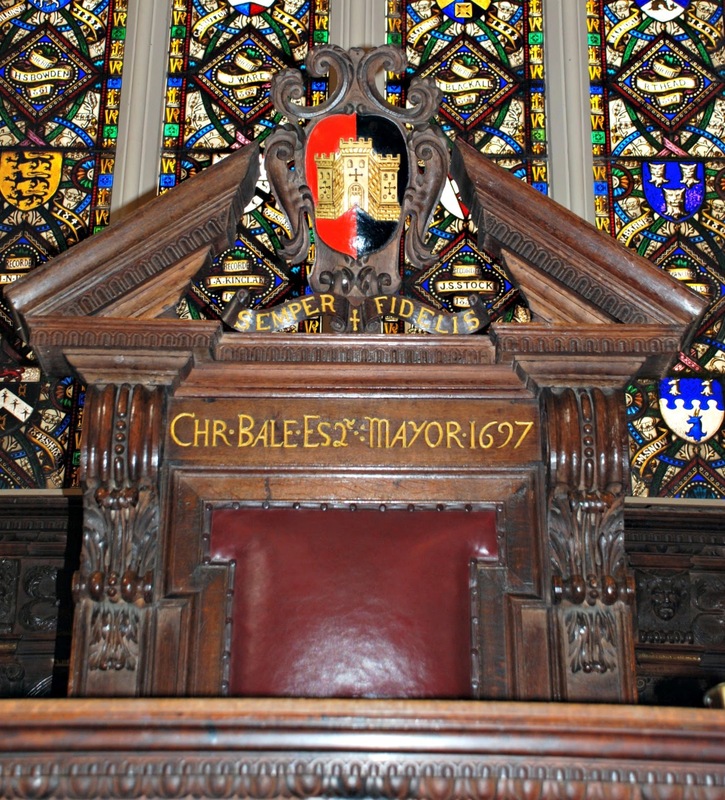 Here's the Lord Mayor's Chair, in which the presiding judge of the Assizes would have sat as he administered the King's justice. 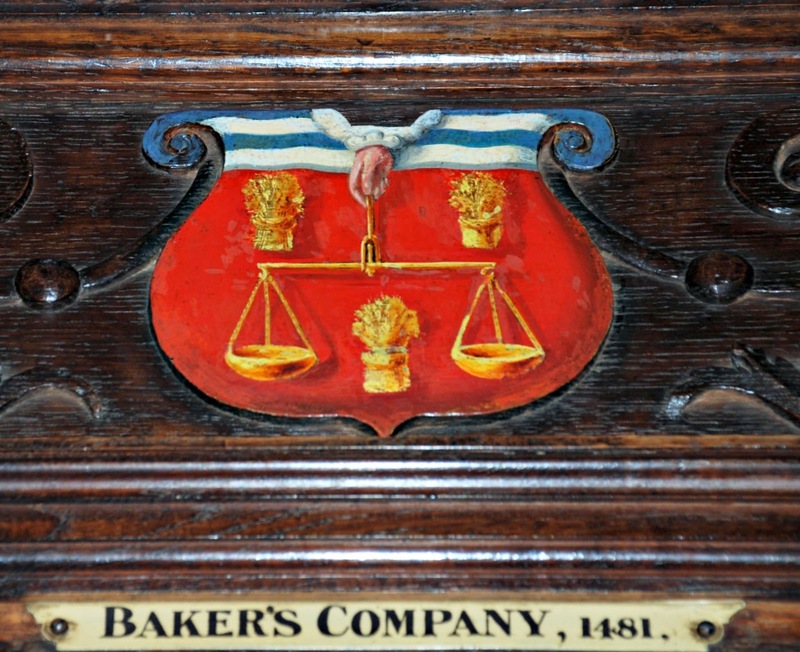 It was made for Mayor Christopher Bale who held office from 1695 to 1697, and it bears the city's coat of arms and its motto semper fidelis, always faithful. 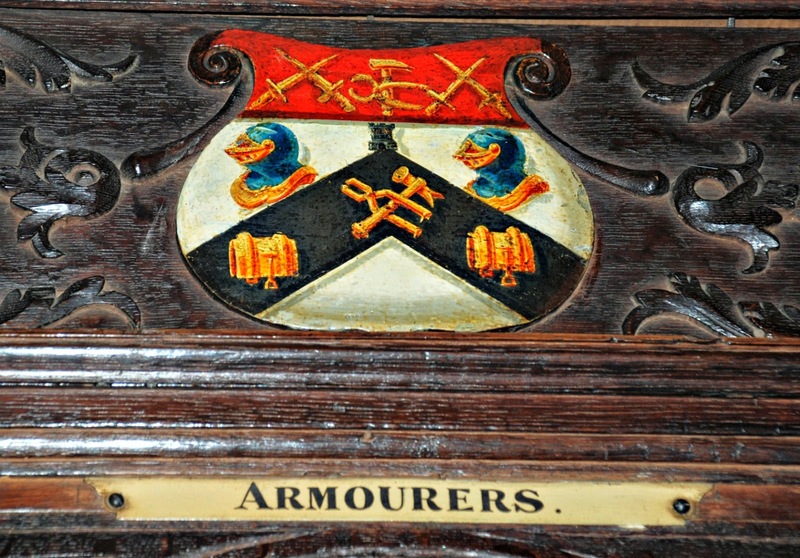 Around the walls are numerous coats of arms of important benefactors, mayors and the city's trade guilds. I was especially interested in the trade guilds, which give a window into the economic history of the city down the years. The medieval trade guilds emerged to control and represent the interests of the different trades within the city. They were somewhere between a governing body, a secret society, with their own secrets and rituals, and a trade union. 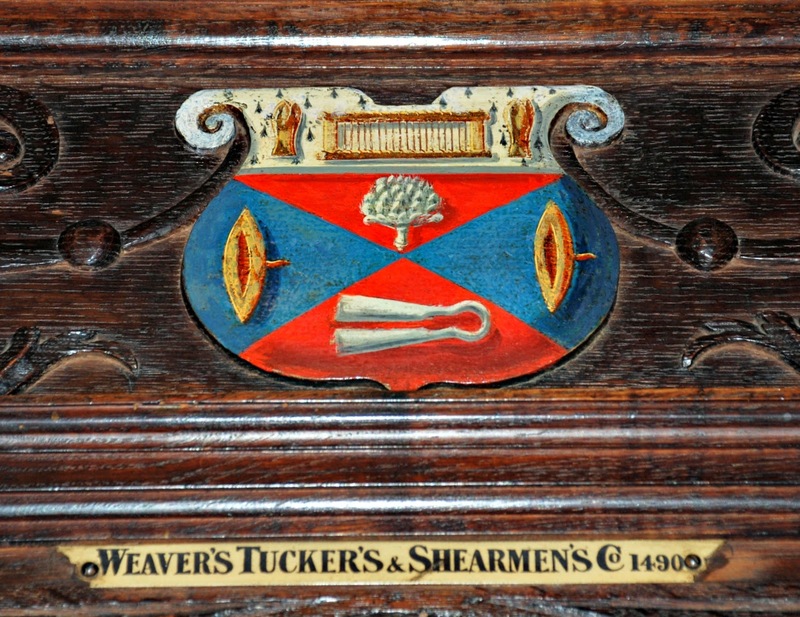 The very wealthy guild of Weavers, Tuckers and Shearmen, had their own guildhall, the Tuckers' Hall, built nearby in 1471. Exeter grew rich on the wool trade, which prospered from the 1430's right up to the 18th century and the weavers, tuckers and shearmen, who were the skilled finishers of the product, did rather better than most. The guildsmen met in this hall to discuss their business. They fixed the rates at which they would sell their produce, sometimes they pooled their buying power and negotiated terms on which they would purchase their raw materials, or considered trade alliances with guilds in other cities, and from time to time they reviewed the necessary skills to be taught to their apprentices so as to maintain the standards within their ranks. They also met to consider the admission of new members to the guild, and to consider whether apprentices had shown the necessary expertise to qualify into the ranks of the masters. 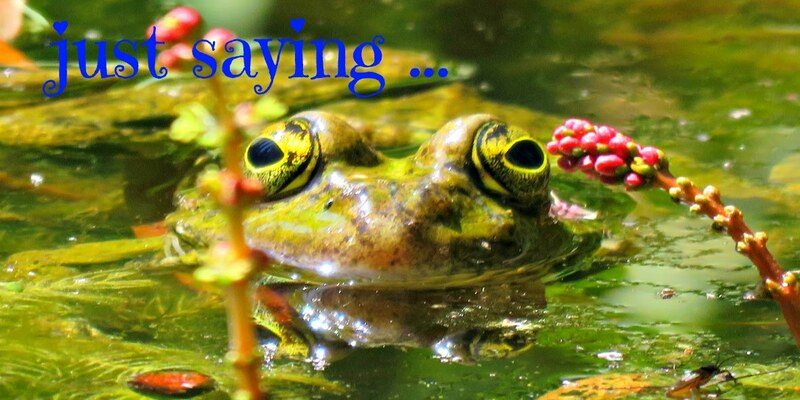 A candidate apprentice would be required to produce a master piece, a sample of his work in which he demonstrated all the skills of a master of the trade. 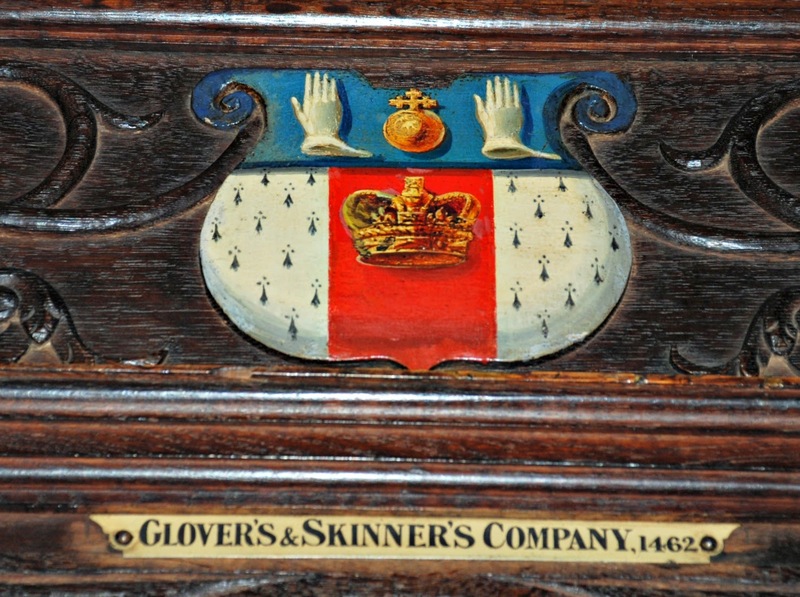 Can you imagine the masters sitting around the walls of the chamber unpicking some poor apprentice tailor's stitching to see whether his robes were up to the mark, or passing an exquisitely fashioned kid glove around to see whether someone was good enough to become a master glover? 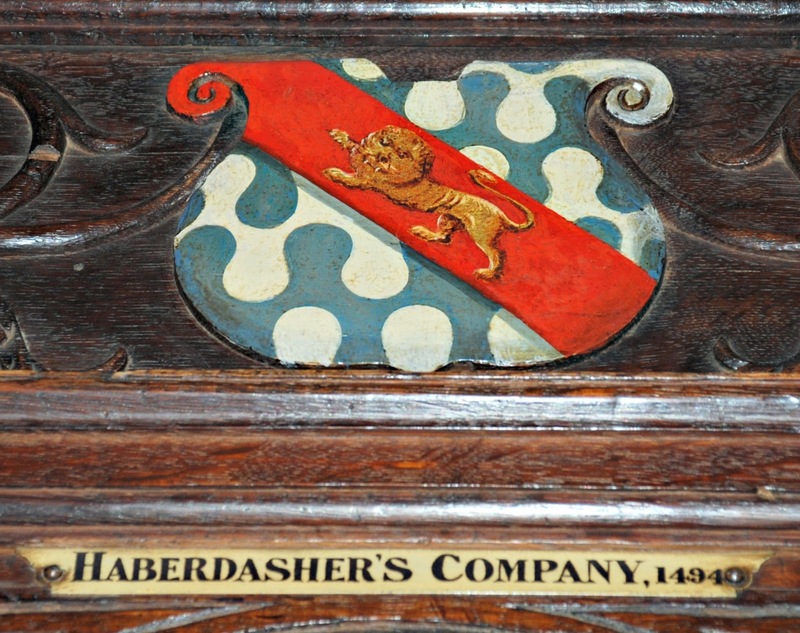 The haberdashers (below) would have dealt in all the small items of sewing: the needles, thread and buttons. 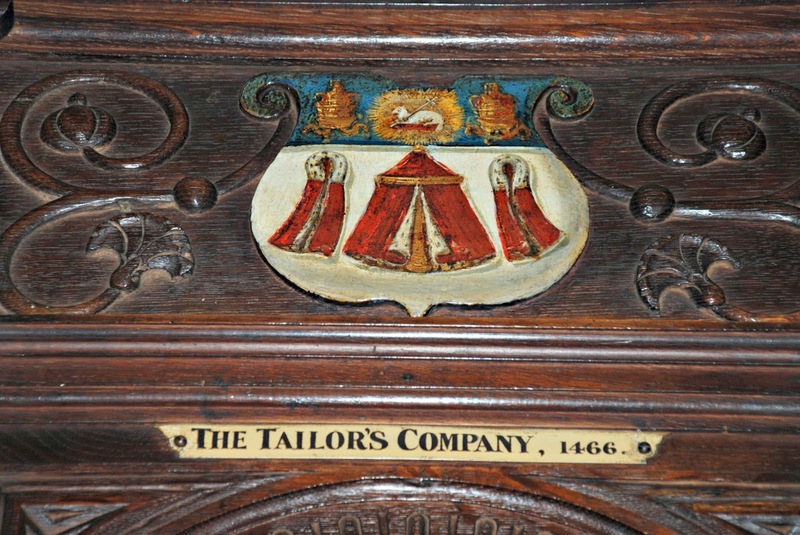 They would have worked in conjunction with the tailors (above) and the mercers, who were the cloth merchants. As I've explained the weavers, tuckers and shearmen worked in the local woollen industry, producing the finished cloth. In the early days the weavers wove the wool into a rough fabric called kersey. After about 1615 they also wove a finer fabric called serge. Then the tuckers treated the cloth, shrinking it and creating the nap, the textured surface of the cloth. The shearmen came along at the end of the process and trimmed or removed the nap with their shears to produce the finer qualities of fabric. 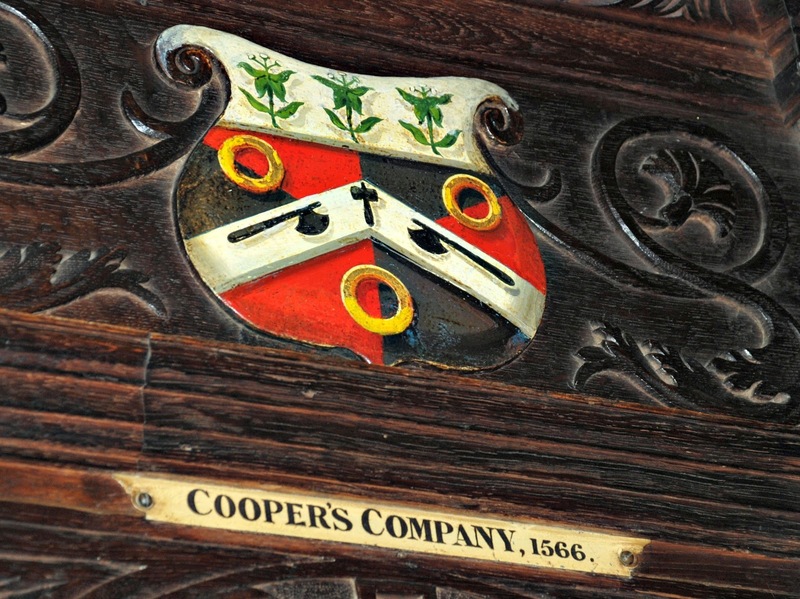 The coopers (photo below) were the people who made and repaired the casks, kegs and barrels that just about every sort of liquid was moved and stored in. 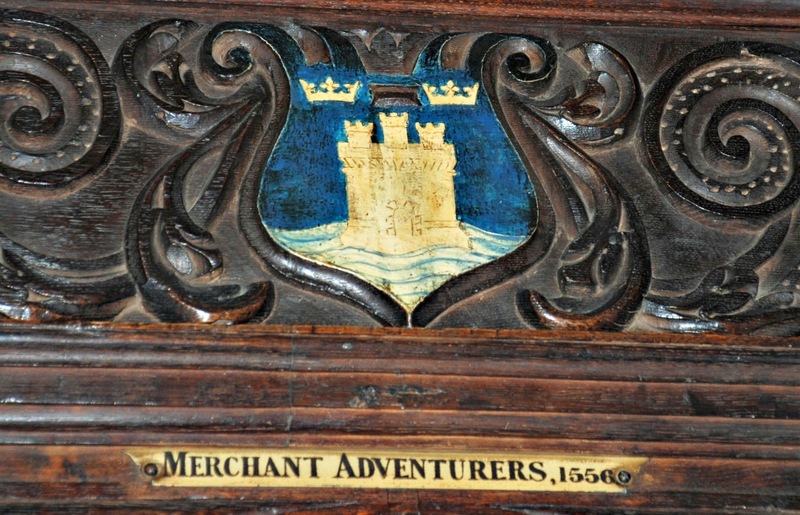 My personal favourite was the Guild of Merchant Adventurers founded in 1556. These were the merchants who traded overseas, the import/ export guys. Mostly they would have been involved with the export of woollen cloth, but they would have also grown rich importing foreign commodities such as sugar, chocolate, tea, coffee, furs and wines to sell at home. Emi and I spent a fun half hour piecing together all the different trades that once flourished within the city walls, and trying to understand what they actually did. It all seemed far removed from the world of today where so little of what we use is actually manufactured in this country, and in which so few of us seem to be involved in work that produces a tangible, hold-it-in-your-hand, product at the end of the day. What a lot of information! Glad you found the door open, I especially like the door and surrounds. Nice one Bonny. 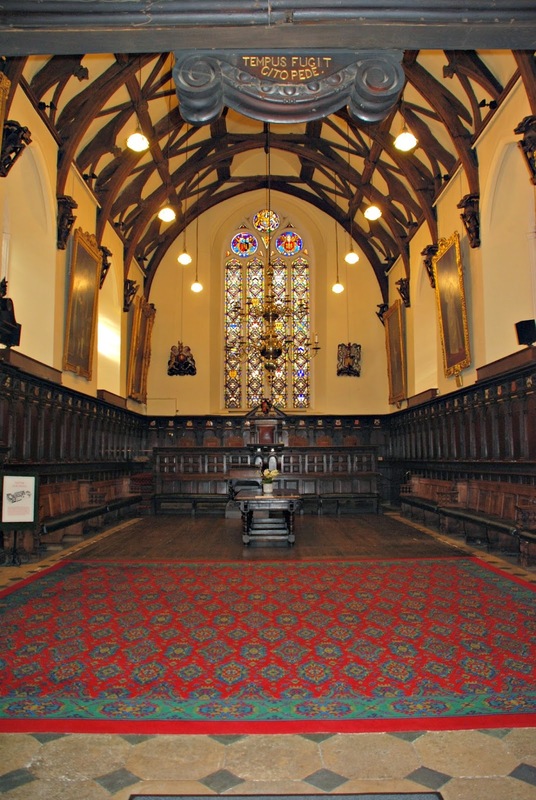 I need to come back tomorrow and read your long Halloween story :) but I wanted to let you know how much I enjoyed this post, and the Chamber of the Guildhall is stunning! 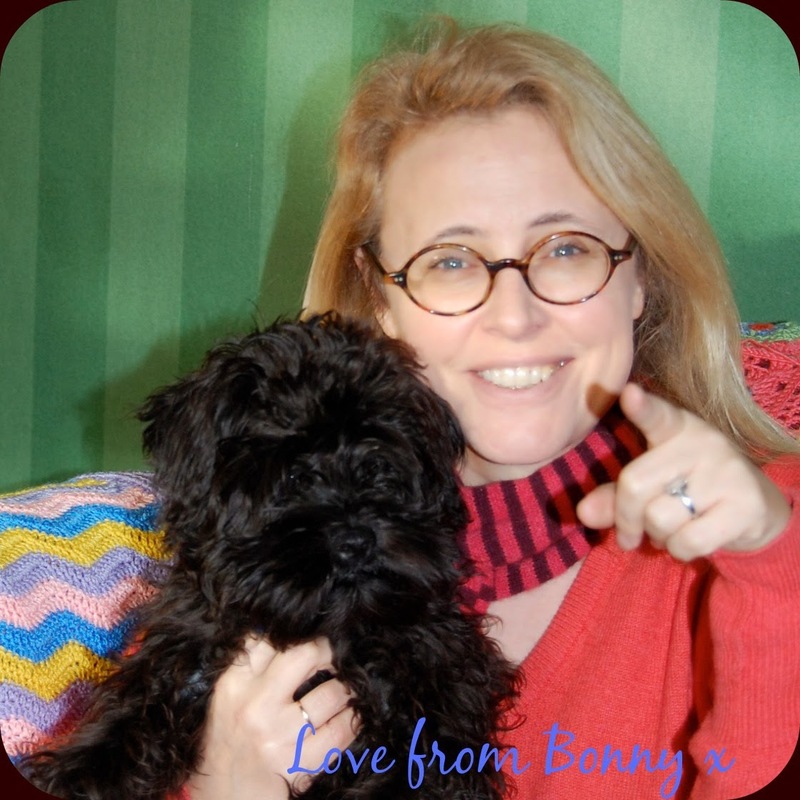 :D Sweet dreams, Bonny!